I dedicate this blog post to my mother for all of her unconditional love that she provided for our family. One of the most important day for florists and chocolate makers is this Sunday which is of course is Mother’s Day. Originally when Anne Jarvis started the campaign for mother’s day to be an official holiday, it was met with resistance and did not come with any commercial association. Mother’s Day quickly caught on because of Jarvis’s zealous letter writing and promotional campaigns across the country and the world. However, as with many worthy endeavors this met some firm resistance. In 1909 several senators mocked the very idea of a Mother’s Day holiday. Senator Henry Moore Teller scorned the resolution as "absolutely absurd”. He announced, "Every day with me is a mother's day." Senator Jacob Gallinger judged the very idea of Mother's Day to be an insult, as though his memory of his late mother "could only be kept green by some outward demonstration on Sunday, May 10." This didn't deter Jarvis. She enlisted the help of organizations like the World’s Sunday School Association, and the holiday sailed through Congress with little opposition in 1914. The floral industry wisely supported Jarvis’s Mother’s Day movement. She accepted their donations and spoke at their conventions. With each subsequent Mother’s Day, the wearing of carnations became a must-have item. Florists across the country quickly sold out of white carnations around Mother’s Day—newspapers told stories of hoarding and profiteering. The floral industry later came up with an idea to diversify sales by promoting the practice of wearing red or bright flowers in honor of living mothers, and white flowers for deceased moms. That being said, it is important to have a day that recognizes the true heroes on this planet. I am referring to all the moms out there. They invest sleepless nights for the betterment of their kids. They provide physical and emotional care that each child can thrive in their environment. There are so many things in life that may seem obvious but are left unsaid. We are so busy that many times it is the most basic things like hugging our kids or saying” I Love you “ that fall through the cracks. For those of us that are fortunate to have our mom around, let us take advantage of this day and not lose the opportunity to thank our moms for everything they have done for us. I have included a video for you to watch this week. Please share your thoughts. Are the Winter Olympics Sexist ? 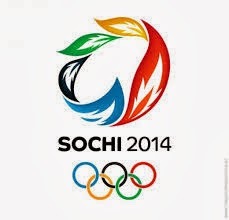 I remember the thrill I had the first time I watched the Winter Olympics. The 1988 games were held in Calgary and as a young proud Canadian I was so excited that the coveted games were in Canada. There was the “Battle of the Brian’s” in the men’s figure skating. Brian Orser was representing Canada and he was going up against his main rival, Brian Boitano from the U.S.A. I remember feeling disappointed when Boitano outskated Orser for the gold medal. In 1994, the anticipation leading up to the women’s figure skating was unmatched in terms of drama and suspense. Nancy Kerrigan was physically attacked by accomplices of her teammate Tonya Harding. Kerrigan recovered and went on to win the silver medal and become a national hero. I look forward to the games every four years. Or should I? · In biathlon, which combines cross-country skiing and shooting. The women compete in a 7.5K sprint, a 10K individual pursuit, a 15K individual race, a 12.5K mass start and a 4x6K relay. The men's distances for the same races are 10K, 12.5K, 20K, 15K and 4x7.5K. · Cross-country has a similar story, where the men's races are anywhere from 50% to 100% longer than the women's. The longest women's race is 30 KM. The men go 50 KM. · In long-track speed skating, the men's longest race is 10,000 meters. The women's is 5,000 meters. In short track, the men skate a 5,000-meter relay; the women go 3,000 meters. · The first Olympic women's ski-jumping competition, was scheduled this week for the first time ever, at the Winter Games on a normal hill whereas the men have three competitions—normal hill, large hill and a team event. The International Olympic committee responded to The Wall Street Journal’s request for an explanation about the differences between the men and women at the games. What is going on here? In the enlightened world of 2014, why are there are such gaps in the standards of the competition ? Is the IOC suggesting that men are in superior physical shape and can handle more intense competition? Or is there an unspoken understanding that there are physical differences between men and women with no gender being superior and that would result in different expectations standards for the respective sports? I am asking this question because it seems to me that Orthodox Judaism is increasingly being accused of being sexist and gender bias towards women. This has come under the microscope lately with two Jewish schools allowing women to wear tefilin. We are being told that there should be no differences in terms of mitzvah obligations for men and women. To suggest otherwise and say that there are differences between the genders for tallis, tefilin, and minyan is being interpreted by some that women do not count as being important. That is quite unfortunate because Orthodox Judaism does not just respect women. We revere women. We also recognize that not only do men and women have physical differences but they have spiritual differences and that while no gender is superior; there are different spiritual needs that are nourished by different mitzvos for the different genders. Is it possible to view this sensitive and delicate issue this way or not? In any case, I am still looking forward to the Winter Games, especially Team Canada sweeping the gold in both men's and women's hockey.